CAMDEN, Maine — Reliving snowy adventures from their childhoods perhaps, grown-ups sought glory Saturday in an adrenaline-fueled slide down a slippery toboggan chute. 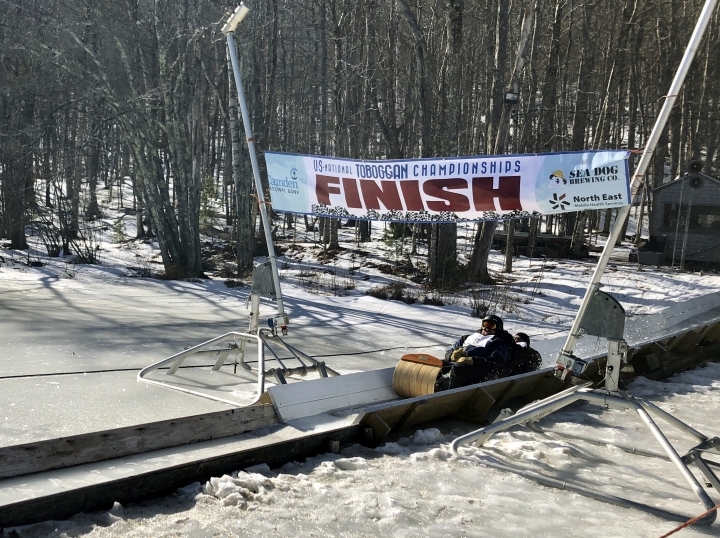 The two-day National Toboggan Championships kicked off with more than 400 teams zooming down an ice-covered toboggan chute at speeds approaching 40 mph before spilling onto a frozen pond. The event features old-school, wooden toboggans like the one used by Calvin and Hobbes in the comic strip. Others are just out to have fun, as evidenced by silly costumes and team names like "Slippery Goggles," ''Redneck Rockets," ''Government Chutedown," and "Beavis and Buttsled." 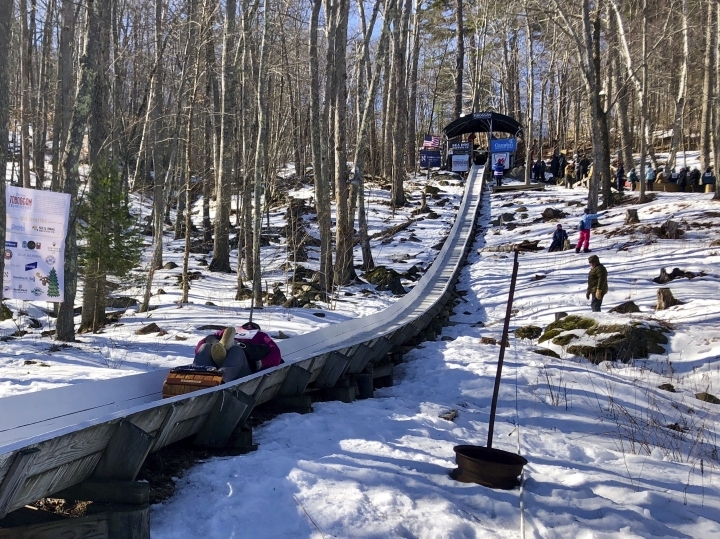 The 400-foot toboggan chute has been rebuilt twice, most recently in 1990. Competitors reach speeds of about 40 mph before sliding onto frozen Hosmer Pond. There are divisions for two-, three- and four-member teams. The competition raises money for the Camden Snow Bowl, a nonprofit, municipally owned ski area on the 1,300-foot Ragged Mountain, which overlooks the Atlantic Ocean.